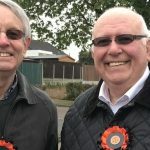 The roots of The Harlow Alliance Party go back to early 2017 when a number of residents met to discuss how they could best work together to represent communities across the district of Harlow. Harlow is seen as a prime area for a massive house building programme within the town and on it’s borders. Harlow Council is required to produce a Local Plan, which sets out where and in what numbers homes will be built in the area. Such a plan is long overdue. In the meantime neighbouring authorities are well advanced in producing their plans, which when implemented will see many thousands of new homes built on the boundaries of Harlow. Harlow Council is aware that many residents fear the loss of green spaces in the town and are concerned about the lack of new infrastructure such as roads, schools and a new hospital which will be needed to cope with the expansion of the town and surrounding villages. The Harlow Alliance Party will put public consultation at the heart of it’s objectives, this will help ensure that sustainable and affordable homes are built, open spaces are protected and the necessary new infrastructure is put in place before new homes are completed. 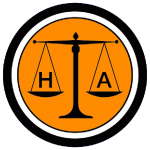 Support the Harlow Alliance Party by becoming a member. You can do this here.